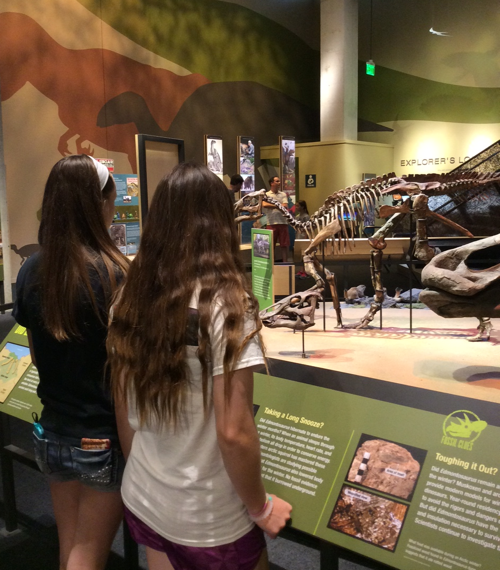 We recently received complimentary tickets to the Perot Museum. Below is a recap of our experience. All opinions are my own. 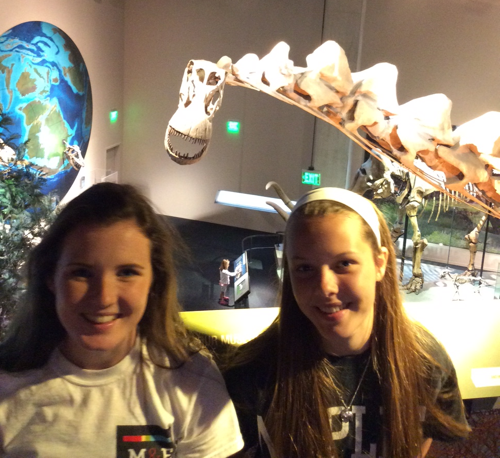 A top destination for North Texans and tourists alike, the Perot Museum of Nature and Science is a nonprofit educational organization located in the heart of Dallas. 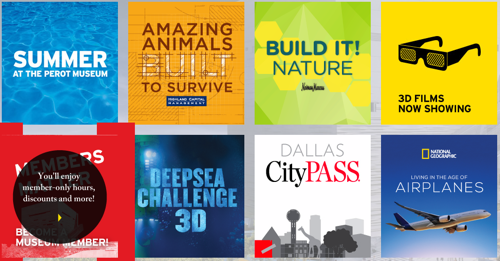 With a mission to inspire minds through nature and science, the Perot Museum delivers exciting, engaging and innovative experiences for visitors of all ages. 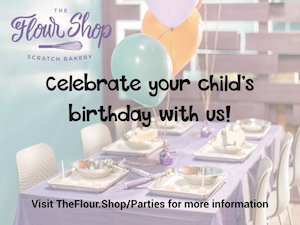 Before you even walk in the doors, you’re greeted with fun activities and photo opps! There’s even a fun little water feature next to the Frog Garden that little ones will love, so bring a towel or a dry pair of clothes – they’re sure to get wet! Once you enter the museum, you might be a bit overwhelmed by the sheer amount of exhibits, displays, and REALLY COOL interactive features they have. Not to worry. If you arrive early, our recommendation is walk down one flight of stairs to the lower-level first. 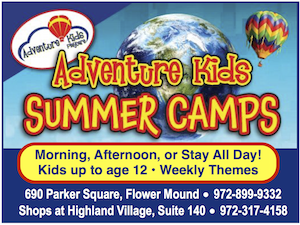 This is where the Sports Hall, Children’s Museum, and Amazing Animal exhibits are located. They’re all very popular, so we like to visit those first, before the museum gets too crowded. One of our favorites was the Sports Hall, where my girls tested their reaction time! The museum is filled with many hidden gems, such as the stairs that make music (lower level) and benches throughout that have “fun facts” for you to enjoy! 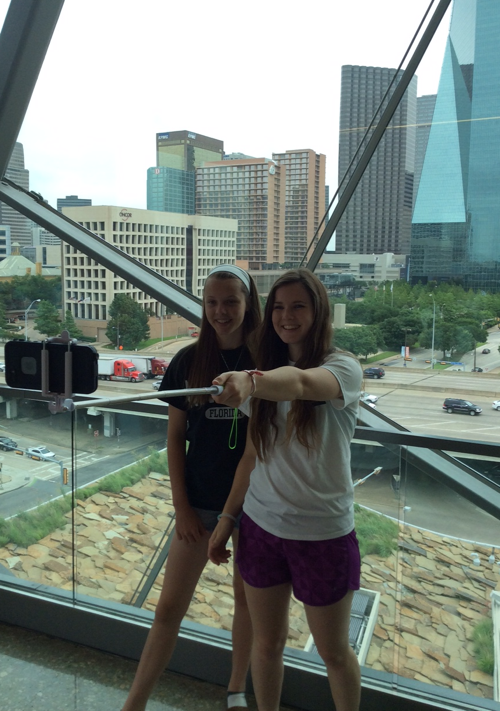 On the way up, my girls decided to take selfies with the Dallas skyline in the background, so get your cameras ready! Five floors house 11 permanent exhibit halls containing state-of-the-art video and 3D computer animation with thrilling, life-like simulations where visitors can exercise their brains through hands-on activities, interactive kiosks and educational games. Traveling Exhibition (June 13 – Sept. 7, 2015). Imagine shrimp that can break through glass, spider webs that are stronger than steel and sharks that use their snouts to sense the electrical impulses of their prey. From the inside out, every living thing – including humans – is a machine built to survive, move and discover. 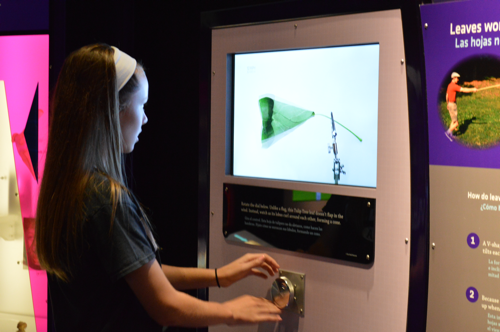 Explore how plants and animals stay in one piece despite the crushing forces of gravity, the pressure of water and wind, and the attacks of predators. Using surprising tactics, creatures endure the planet’s extreme temperatures, find food against fierce competition, and – without metal, motors or electricity – circulate their own life-sustaining fluids. Feel how hard a giraffe’s heart works to pump blood up to its head. 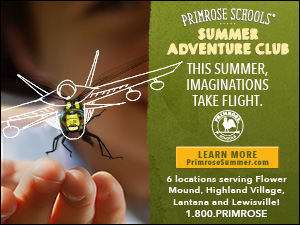 Try to “fly” and study the many different ways creatures jump, gallop, slither and swim. And see technological breakthroughs – like Velcro, wind turbines and chainsaws – that were inspired by nature’s ingenuity. Amazing Animals: Built to Survive requires a surcharge for members and non-members. Ticket prices below. 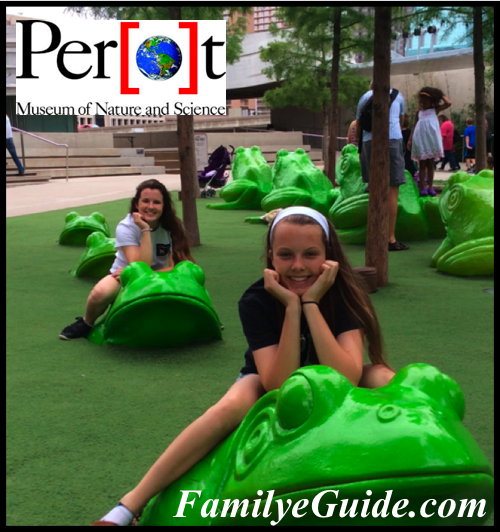 The Perot Museum of Nature and Science is pleased to offer complimentary general admission for veterans, active and retired U.S. military personnel and First Responders and $3 off general admission for members of their immediate families (up to six family members) Memorial Day through Labor Day (May 22 – Sept. 7, 2015). In addition, everyone can take advantage of $10 Museum general admission from 4-6 p.m. Monday – Friday (from May 26 – Sept. 4), including First Thursday Late Nights (June 4, July 2, Aug. 6 and Sept. 3, – when the Museum stays open until 9 p.m.)! 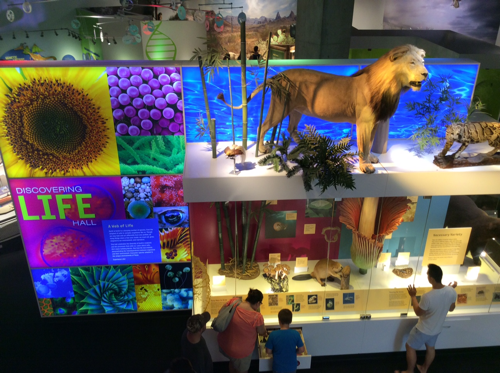 To expand accessibility for families this summer, the Perot Museum is introducing the Community Partners Ticket Offer providing $1 general admission for individuals and families enrolled in qualified state and federally supported assistance programs. 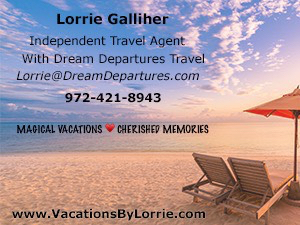 The offer is valid for up to seven immediate family members Memorial Day through Labor Day (May 22 – Sept. 7, 2015). 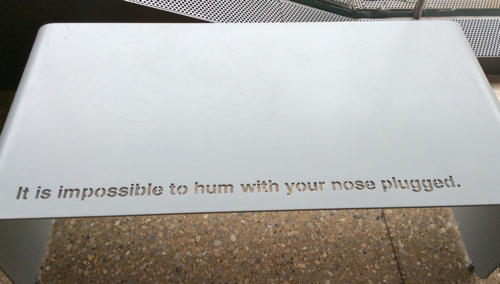 Find details at perotmuseum.org/summer. EXTENDED HOLIDAY HOURS. 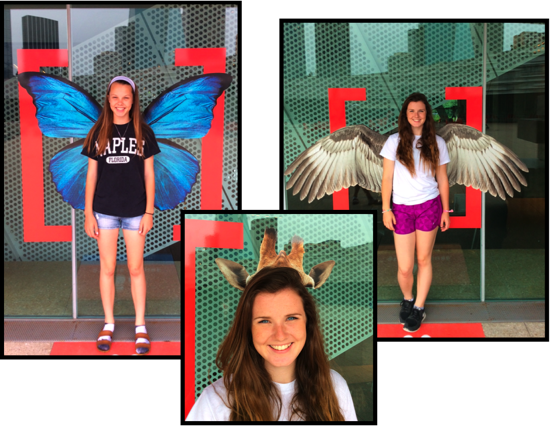 From May 26 – Sept. 4, the Perot Museum will be open from 10 a.m.-6 p.m. Monday – Saturday and from noon-6 p.m. Sunday. On the first Thursday of the month, the Museum will remain open until 9 p.m. for its public Late Night events. On Memorial Day weekend, the Museum will be open 10 a.m.-7 p.m. on Friday, May 22, and Saturday, May 23; noon-7 p.m. on Sunday, May 24; and 10 a.m.-7 p.m. on Monday, May 25. On Labor Day weekend, the Museum will be open 10 a.m.-6 p.m. on Friday, Sept. 4; 10 a.m.-7 p.m. on Saturday, Sept. 5; and noon-7 p.m. on Sunday, Sept. 6. 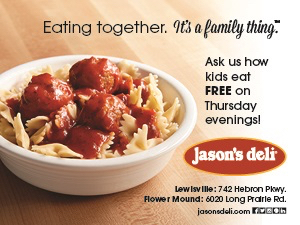 Member-only extended hours! From 8:30-10 a.m. every Saturday and 10 a.m.-noon every Sunday, members can enjoy exclusive access to the Perot Museum, plus member-only access to the Moody Family Children’s Museum from 10 a.m.-noon every Monday (except for Memorial Day on May 25 and Labor Day on Sept. 7 when there is special early member access from 8:30-10 a.m.). Please check perotmuseum.org for other special member-only hours, holiday hours, extended hours and unexpected closings. 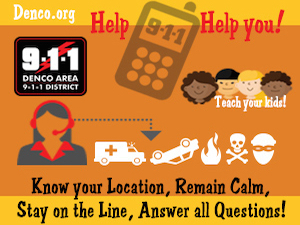 TICKET AND GENERAL INFORMATION. Museum general admission ticket prices are $17 for adults (18-64), $11 for youth (2-17), $12 for seniors (65+), and free for children under 2. Museum general admission is always free for members. Admission to the theater is $6 for a short film (20 minutes) and $8 for a long film (40 minutes) for adults, seniors and youth. For members, admission to the theater is $5 (short film) and $6 (long film). All children under 2 are free. Amazing Animals: Built to Survive requires a surcharge along with purchase of Museum general admission for non-members for a total admission cost of $24 for adults (18-64), $17 for youth (2-17), and $18 for seniors (65+). Member tickets are $5 for adults (18-64) and $4 for youth (2-17) and seniors (65+). General admission to the Museum and entry into the exhibition is free for children under 2. Build It! Nature requires a surcharge along with Museum general admission of $5 for non-members of all ages. Museum members of all ages pay a surcharge of $3. General admission to the Museum and entry into the exhibition is free for children under 2. PAID PARKING. General parking and handicap parking is available in the main Museum parking lot, a pay-to-exit lot located under Woodall Rodgers Freeway across from the Museum. Limited additional handicap and Hybrid/electric vehicle parking is available in the Special Permit lot, located directly west of the Museum. Pricing is $8 per car when paid on-site and $3 for Museum members. The Perot Museum is located at 2201 N. Field Street in Dallas, Texas. For more information, visit perotmuseum.org or call 214-428-5555.